The WH-5600 is priced at Rs 1,999 and boasts of 32mm dome drivers. It also boasts of an advanced battery efficiency for up to 8 hours on full volume , and features extra Padded cushions. 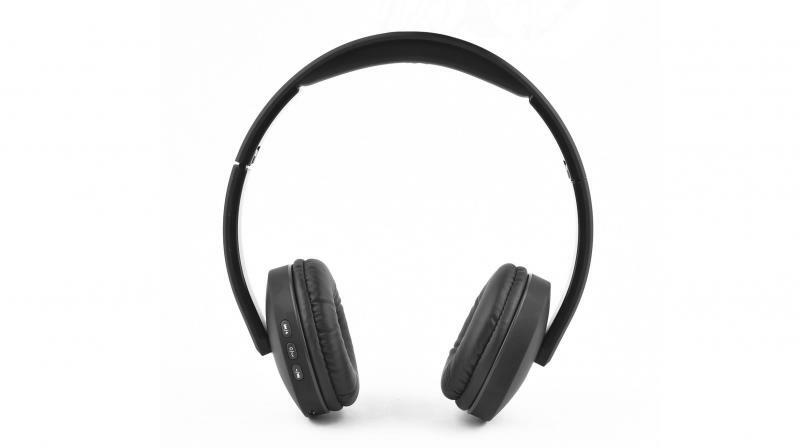 Ambrane India extends its wireless category by launching ‘WH – 5600’ Wireless Headphones. A stylish headphone with a complete package of wireless comfort and advanced high-end chipset boasting sound to a new level of listening experience. With a robust design and leather covered headband’s appealing guise, the headphones go a step ahead to enhance your style quotient. The headphone houses an enhanced digital amplifier that cancels every other ambient noise promising the highly redefined acoustic experience. The WH-5600 delivers cinematic surround sound to immerse you in whatever you're watching or listening to. Its Ø 32 mm dome drivers deliver deep bass and a wide frequency range. The headphone comes with Fast Charging feature, which only takes up to 90 minutes for a full charge and offers superior listening expertise for long hours up to 8 hours; thanks to the 250 mAh battery. With its latest version of Bluetooth integrated into WH-5600, play music from any corner of the room, of about 10 meters of range. Receiving calls is also easy with control buttons, the built-in mic with amazing frequency range and high-quality drivers, allow you to have a smooth user experience. The WH-5600 is priced at Rs 1,999 and is already available in leading retail and ecommerce stores across India.